Cinder blocks are often used for construction projects to build foundations and other strong structures. Sometimes you may purchase more cinder blocks than you need, requiring you to get rid of the extras. Instead of disposing of these cinder blocks in your garbage to end up in a landfill, recycle the blocks instead. 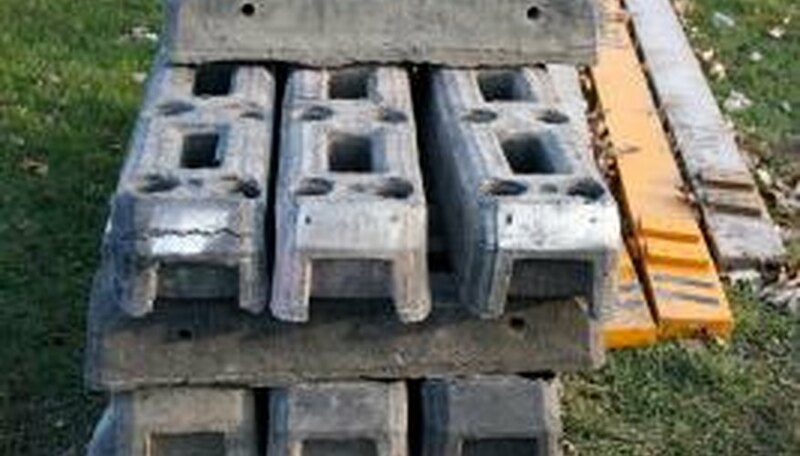 Many construction companies, as well as some recycling centers, will accept cinder blocks for recycling. If you are using a builder for your project, ask about recycling programs in your area. Otherwise, contact construction companies and recycling centers in your area to ask about recycling the blocks. Some companies will come pick up the blocks from you, while others, especially recycling centers, may require you to bring the blocks to them. However, if you have no other uses for the blocks, this is your best option. If you no longer have use for the cinder blocks, you can transform them into something you can use. Some companies rent out cement crushers that crush cinder blocks into smaller pieces. These pieces can be used for gravel to create a driveway or other surface. Crushed cinder blocks can also be used as a base when you lay new concrete to create a driveway or sidewalk or to line your flower beds as decorative rock. Even though you do not use the cinder blocks for their original intended purpose, you can still find other things to do with leftover cinder blocks. If you are a gardener, you can use the cinder blocks to create a raised garden for flowers or vegetables in your yard. Surround the area you want to use with cinder blocks and then fill the area with dirt to the top of the blocks. Cinder blocks can also be used to line a fire pit for your yard. A painted cinder block makes a good address marker. If you have cinder blocks left over after a construction project, you likely cannot sell the blocks back to the company from which you purchased them. Therefore, they are yours to do whatever you want. If you cannot come up with a practical use for them and don't want to recycle them or crush them, donate them to a local building co-op or an organization, such as Habitat for Humanity, that builds or renovates homes for those who cannot afford it.